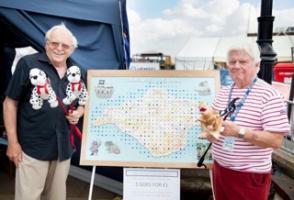 About us Featured pages Photo Galleries COWES ALZHEIMER CAFE IS GIVEN Â£500 Visit from La Rochelle Rotary Club May 2016 CHRISTMAS CONCERT 2015 What Is Rotary? HANDOVER 2015 COMMUNITY Presentation to Cowes Sailability 2015 FUND RAISING YOUTH SPEAKS 2016 INTERNATIONAL COWES WEEK 2016 INTERACTORS SUPPORT IW FOODBANK ACTIVITIES SUPPORTED 2015/16 LIKE TO JOIN US? 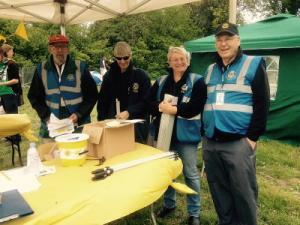 Rotary Club of Cowes - welcome! Please scroll/swipe down through this page to find out more about us, in addition to the pages linked in the menu, top-left. Despite the fire in Medina Village earlier this year, destroying all our equipment, with the help of our junior Interact club we raised nearly Â£1000 for worthy causes and provided much enjoyment during the week. 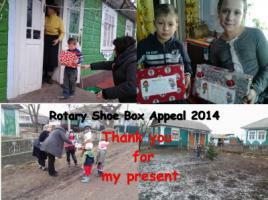 The 2014 Appeal saw Cowes Club collect a record 410 Shoe boxes. 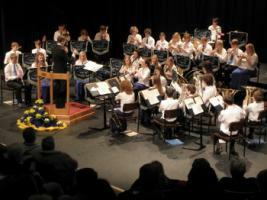 Cowes Rotary Club and the IW Youth Concert Band joined forces to stage a special charity concert. Cowes Rotary Club was first formed in the 1920's, the Club was closed during the Second World War and was not restarted until 1965. 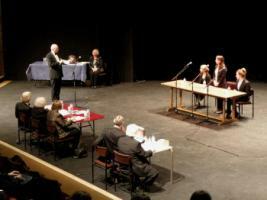 Now it is a thriving body with Members of both sexes and has much to offer the community of Cowes. Visitors are assured of a warm welcome. 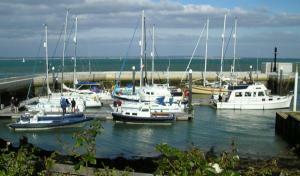 The Club is twinned with the Rotary Club of La Rochelle, France with whom there is a lively programme of mutual visits.